I’ve not counted recently, but I think the DD T Shirt adventure club gallery is close to 100 now. 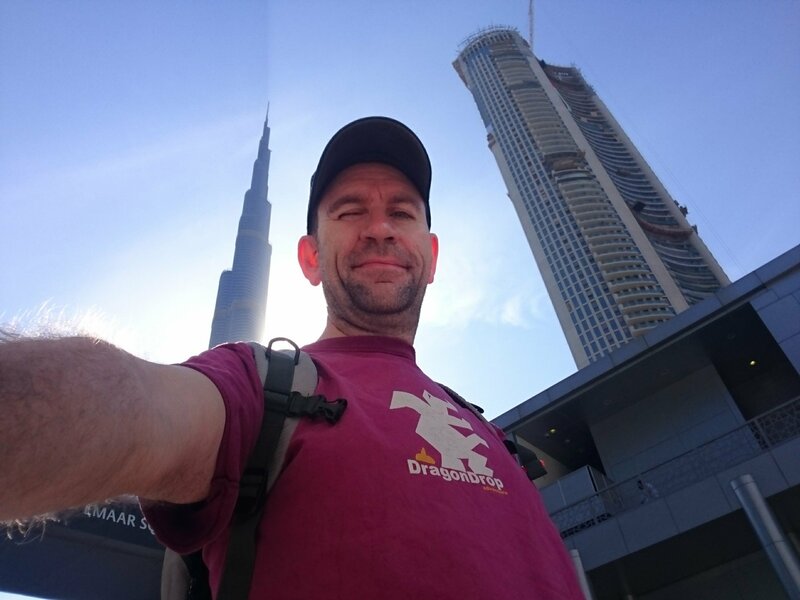 Here’s the latest installment; me standing near the foot of the worlds tallest building, At over 828 metres and more than 160 stories, Burj Khalifa. Flick through the DragonDrop Adventure Club T-Shirt photo archives why don’t you? I’ll write a proper post about what I’ve been up to soon.